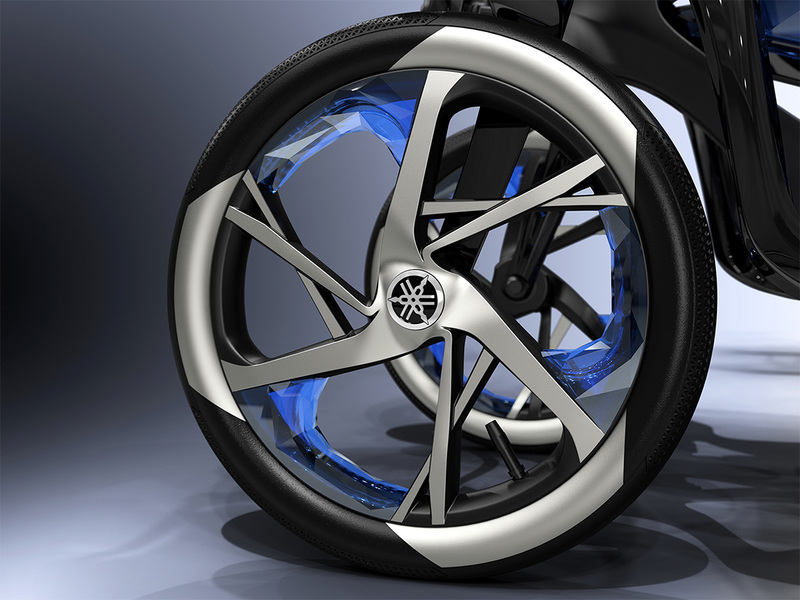 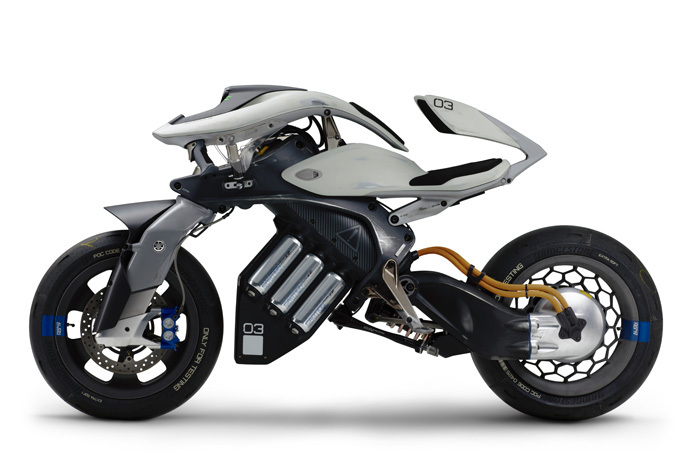 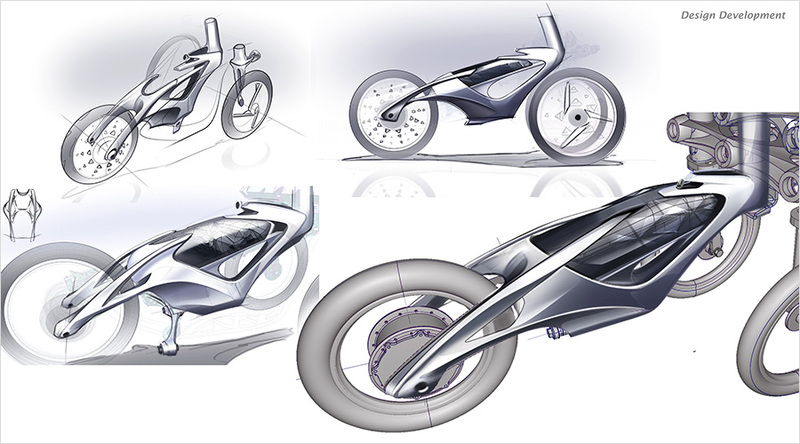 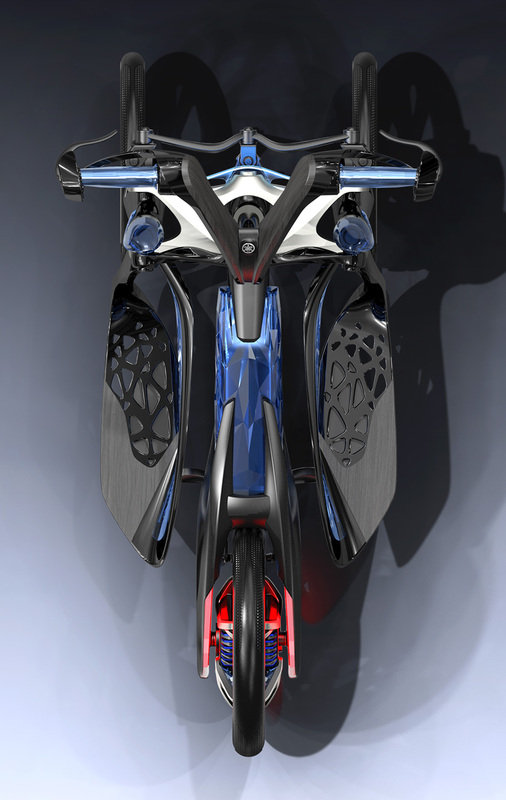 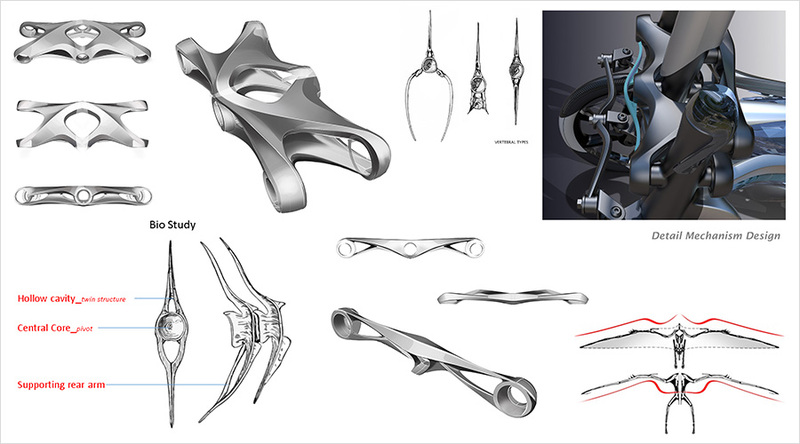 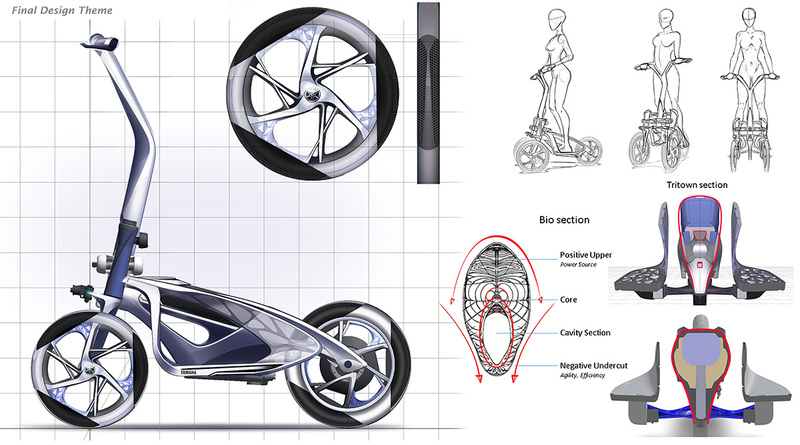 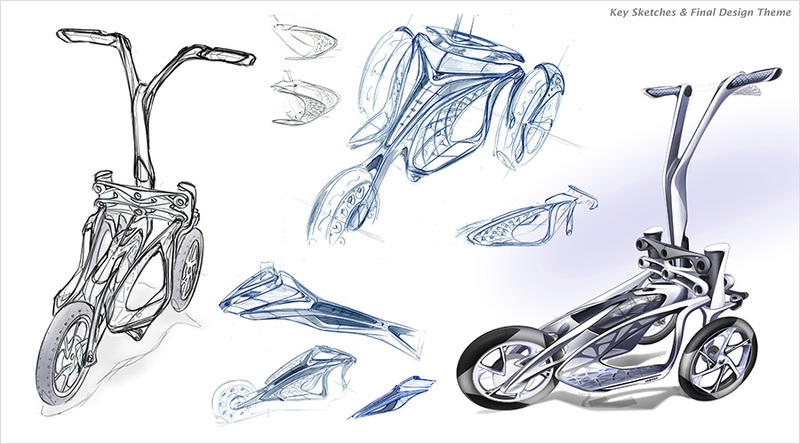 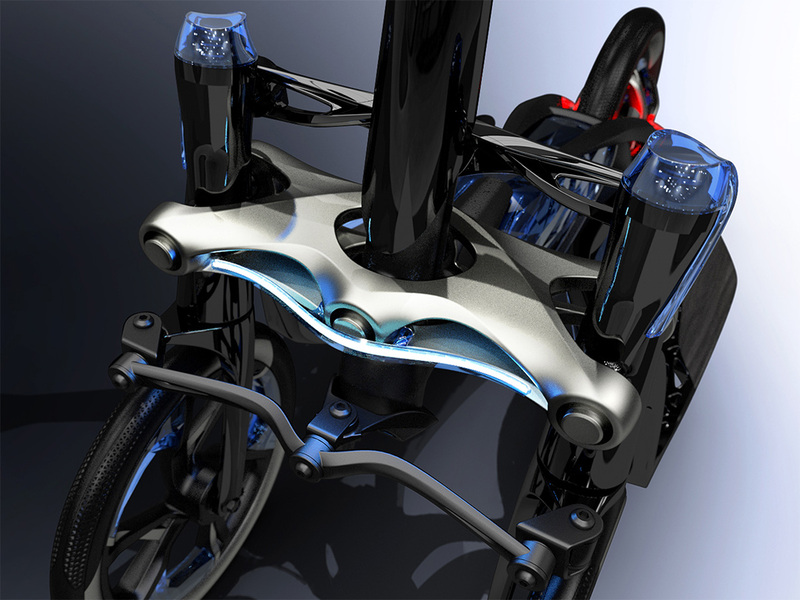 TRITOWN - Yamaha Motor Design | Yamaha Motor Co., Ltd.
*LMW is Yamaha’s designation for vehicles with three or more wheels that can lean like a motorcycle through turns. The frame along with each and every part composing the TRITOWN’s body are designed with organic-like forms to give the machine a new innovative emotional aesthetic. 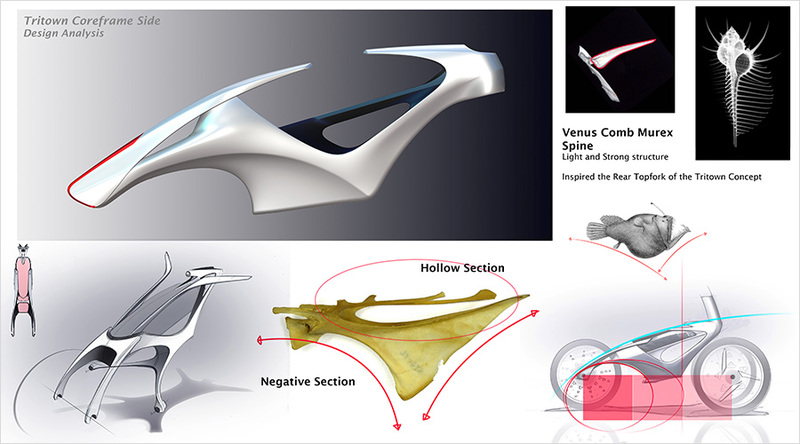 This is the product of a “biomimicry” design approach inspired by the shapes and structures found in the natural world, like the wings of birds, the skeletons of fish or the shells on a beach. 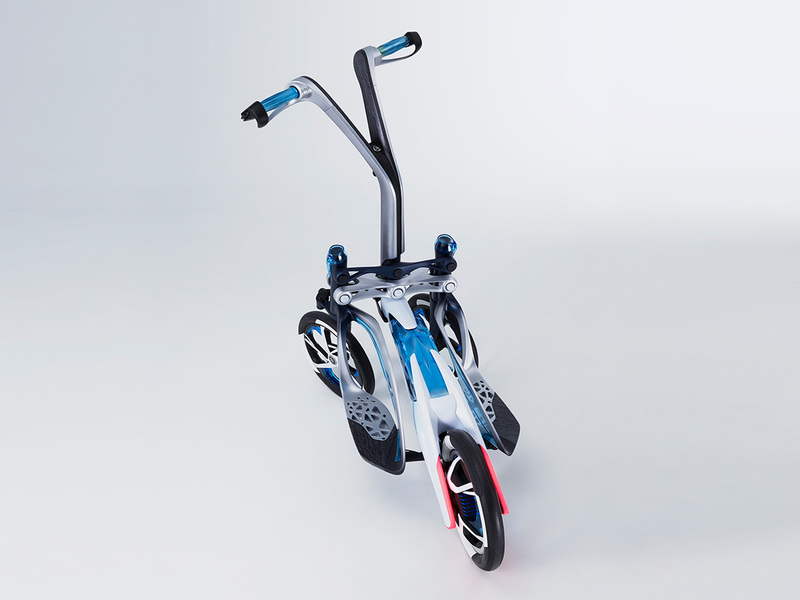 Parts with curved shapes and a frame with a twisting structure were incorporated into the design, and after repeated checks and testing, we were able to make the TRITOWN’s chassis not only more compact and lighter, but also stronger. 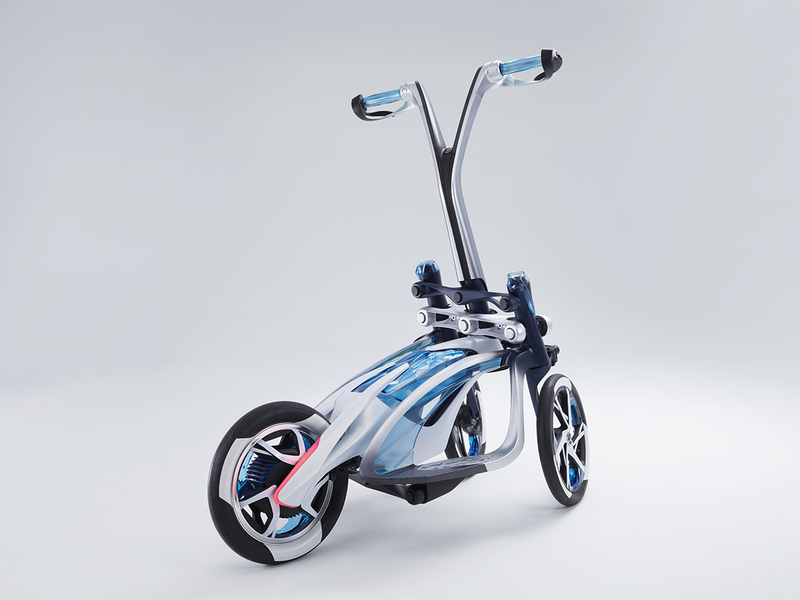 Using the same approach with the battery and other components, we were able to bring them together into a compact and stylish package. 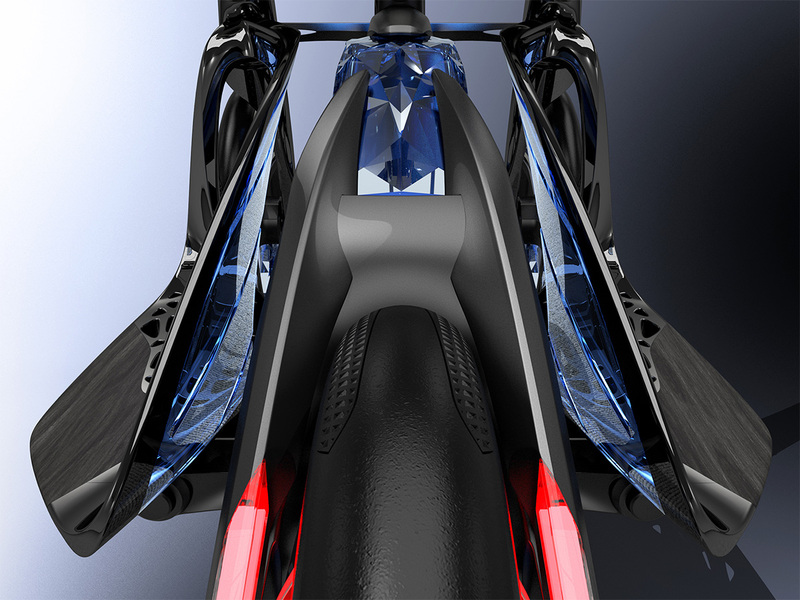 Furthermore, another point of particular focus was installing all of these components as well as the chassis parts without using covers to hide them, giving the TRITOWN a fully exposed or “naked” design. 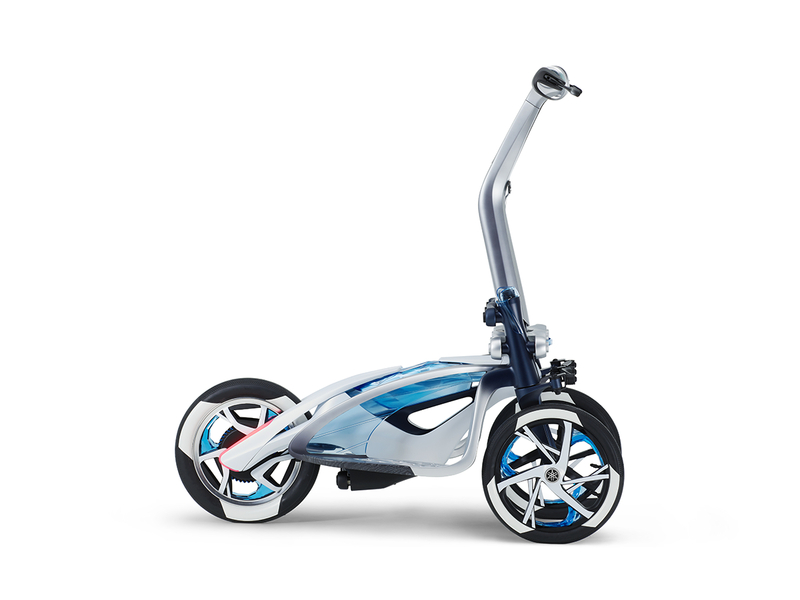 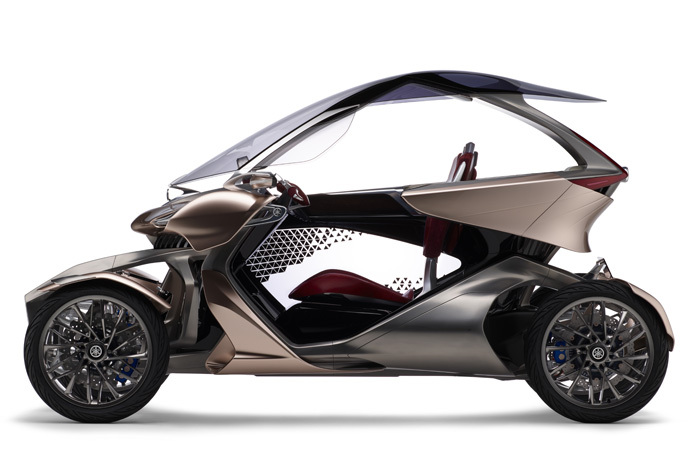 In particular, presenting Yamaha’s proprietary technology for three-wheeled leaning and the flowing motion it creates that complements the TRITOWN’s beautiful design so well is very much representative of Yamaha Motor itself. 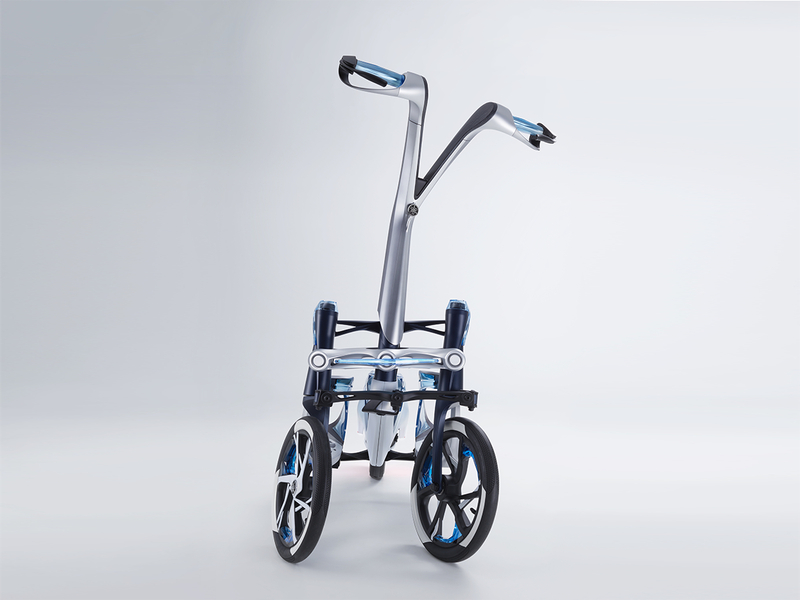 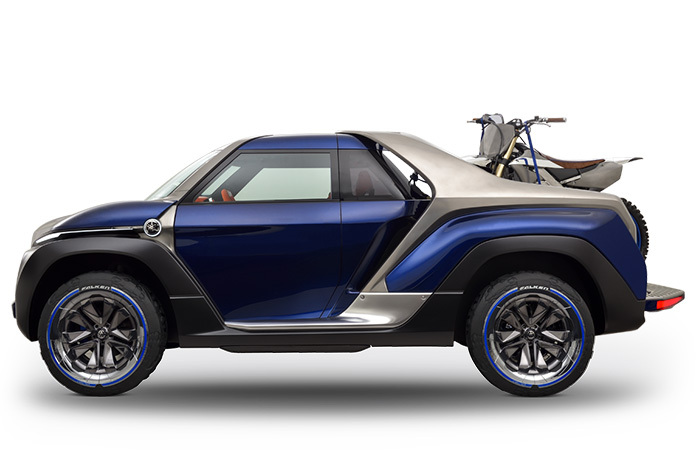 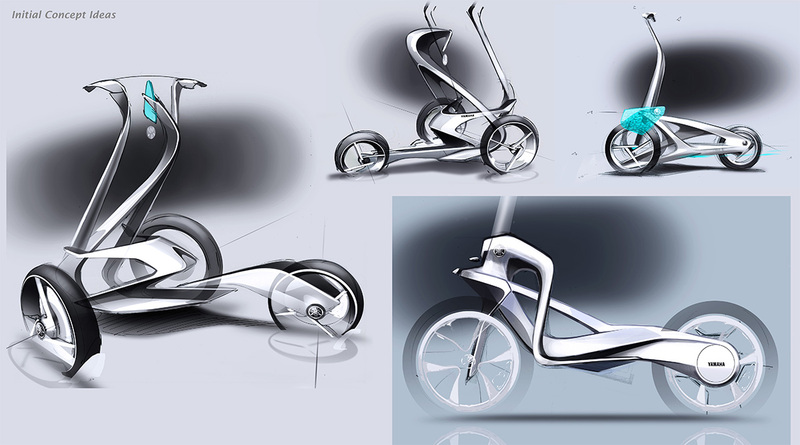 With this design that speaks so clearly of the look and feel of the chassis, its movement and its ease of use, the TRITOWN can transform everyday errands into an emotional and dynamic personal mobility experience.